Cable clamps provide an easy solution to binding and securing cables and wires. Quickly and efficiently attach wire and cable bundles to the wall, ceiling, or other surfaces with a single screw. With this Cable Clamp, you can secure wire bundles from 0.234 to .359 with a screw. 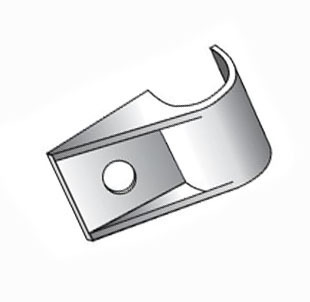 Our cable clamps virtually eliminate the risk of crushing, bending, cutting and galvanic corrosion of wires, cables and tubing often experienced with metal clamps. No leaks, no flow restrictions, no breaks and no shorts as a result of using nylon/plastic cable clamps.